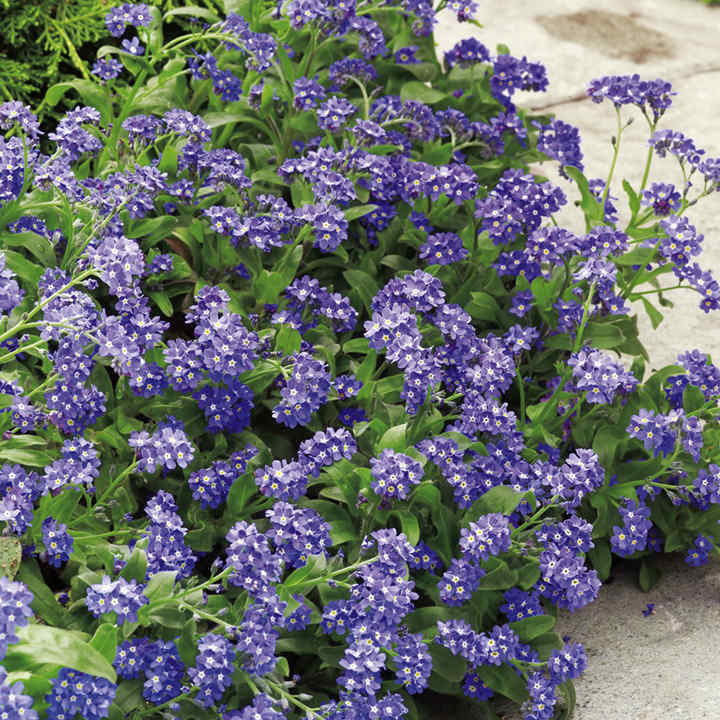 Masses of bright blue flowers with little white eyes. Ideal for edging, bedding, containers or planted with bulbs. Flowers March-late May. Height 20cm (8"). Supplied in 9cm pots.